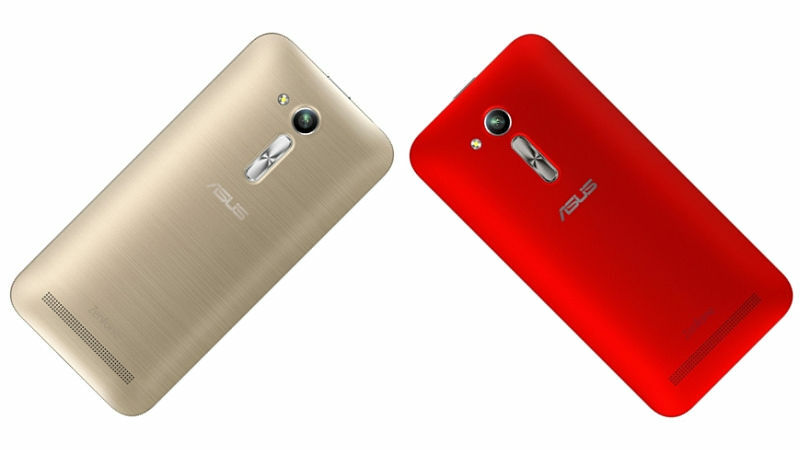 Asus today launched its latest smartphone in India. This new entry level smartphone from Asus is called Zenfone Go 4.5 LTE. Asus has priced it at Rs. 6,999 and it competes with the likes of Xiaomi Redmi 3S. The device features a 4.5 inch display and features 4G LTE connectivity. The Zenfone Go 4.5 LTE comes with a 4.5 inch IPS LCD display with FWVGA resolution. At 854 x 480 pixels on a 4.5 inch display, you get a pixel density of ~218 PPI. The phone runs on Android 6.0 Marshmallow out of the box with Asus’ ZenUI 2.0 on top. Coming to the processor and memory, the Zenfone Go comes with a quad-core Qualcomm Snapdragon 410 processor with Adreno 306 GPU. The device comes with 1 GB RAM and 8 GB internal storage, expandable up to 128 GB with a microSD card. Talking about imaging, you get an 8 MP camera on the back with an LED flash and support for full HD recording. On the front, you get a 2 MP camera for selfies and video calling. Asus has included its PixelMaster technology for zero shutter lag and improved photos. In terms of connectivity, the Zenfone Go comes with Dual SIM, 4G LTE, Wi-Fi b/g/n, Bluetooth 4.0, FM Radio and GPS support. The phone is powered by a 2070 mAh battery. Additionally, Asus has also bundled 100 GB of Google Drive storage for free with every purchase of the Zenfone Go. The 100 GB Google Drive storage will be valid for a period of 2 years from the date of activation. Asus has priced the Zenfone Go at Rs. 6,999. The phone is available in a number of colours – Glamour Red, Silver Blue, Gold, and Silver. The phone is available for purchase from all leading online stores now. Offline stores will receive stocks in the coming days. Compared to phones like the Xiaomi Redmi 3S, the Zenfone Go is a fairly under-specced phone. Asus either should have priced it more aggressively to have any chance, or launched a better specced phone. It will be an uphill task for the phone to succeed in a price sensitive market like India.